David Richards, the boss of the Prodrive race team and engineering company he set up in 1984, is nothing if not diverse in his business. While closely associated with high-profile World Rally Championship (WRC), World Endurance Championship (WEC) and Formula 1 campaigns, the Prodrive of 2018 is very different to the company from the days of Colin McRae and Richard Burns piloting Subaru Imprezas to rally titles. 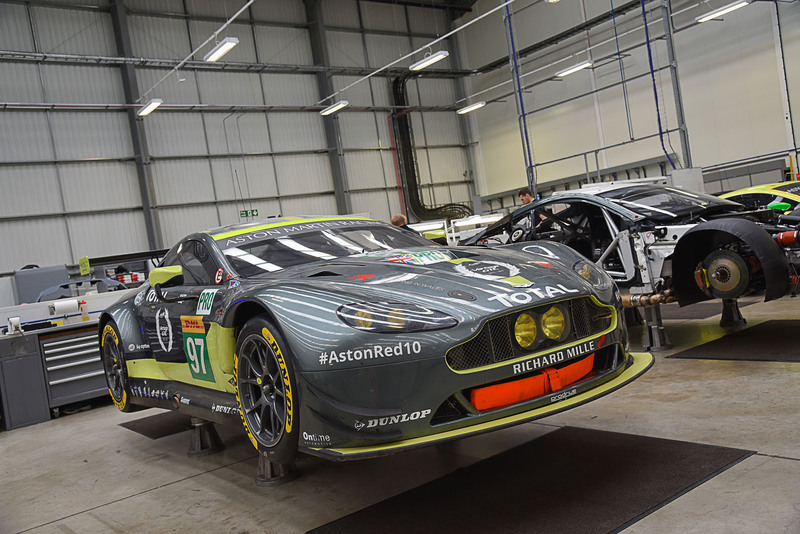 The company still races – in fact, it runs Aston Martin’s works entry with the new Vantage in the WEC, and has just designed and developed a new Renault Sport Mégane for an assault on the World Rallycross Championship. But these days Prodrive is busy making hybrid Ford Transit vans and ambulances, being involved in the development of America’s Cup racing boats and folding bikes, and working on elements of high-performance cars such as the McLaren P1 and Aston Martin Vulcan. The ambulance project is born out of a job recently completed by Prodrive: the hybridisation of the Transit van. The Banbury-based firm designed a range-extender hybrid system to integrate into Ford’s 1.0-litre Ecoboost engine. It proved to be a surprisingly tight fit, even in the engine bay of a Transit. “You’d assume there was plenty of room, but it was very tight under the bonnet,” says Richards of the project, which brought together several partners including Ford, the Advanced Propulsion Centre and Transport for London. The 27 vans have now been built and are being tested around London, a process designed to evaluate the viability for production and to assess the opportunity to reduce pollution in the UK’s vans fleet. 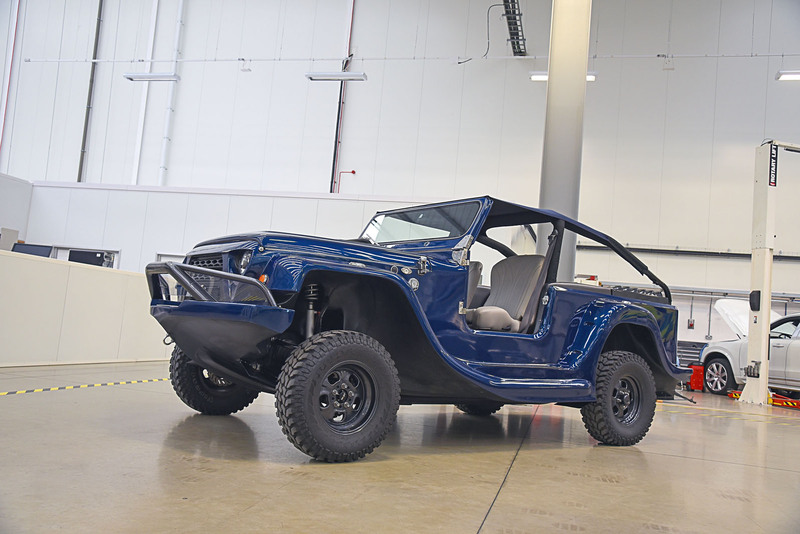 The nature of such contract work means a constant balancing act between current projects and knowing what’s coming next, which is why Richards is well known for launching his own skunkworks projects, including his latest plans to build an amphibious car. Prodrive is also involved in projects you wouldn’t naturally associate it with, such as building the luxurious rear centre consoles for certain Range Rover models, and the diversification into racing yachts and folding bikes. “I’ve known [America’s Cup sailor] Ben Ainslie for many years. When he set up his own team, I said there’d be lots to learn from motor racing. That level of racing in the America’s Cup is just as sophisticated as F1,” says Richards. Prodrive is involved in the development and integration of various electrical and hydraulic systems on Ainslie’s boat. The folding bike, meanwhile, came about after a friend showed Richards a prototype, rode it round his kitchen and asked him if he’d develop and make it. The Hummingbird, the world’s lightest folding bike at 6.9kg, is now in production, using Prodrive’s composite expertise after a year’s development work by a team of engineers. An electric-powered version is coming too. 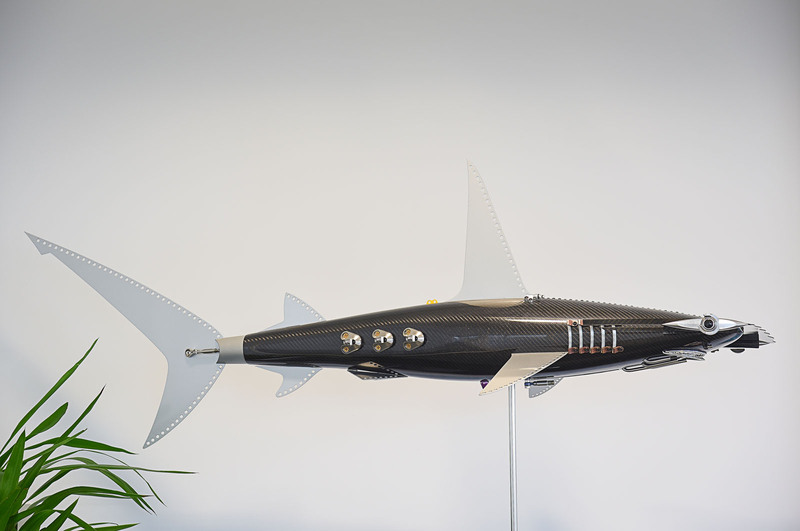 It currently weighs 10.3kg but, with a 9.9kg target set by Richards, there’s still more development work to do. In addition to its main Banbury headquarters, Prodrive also has a facility in Milton Keynes specialising in composites. 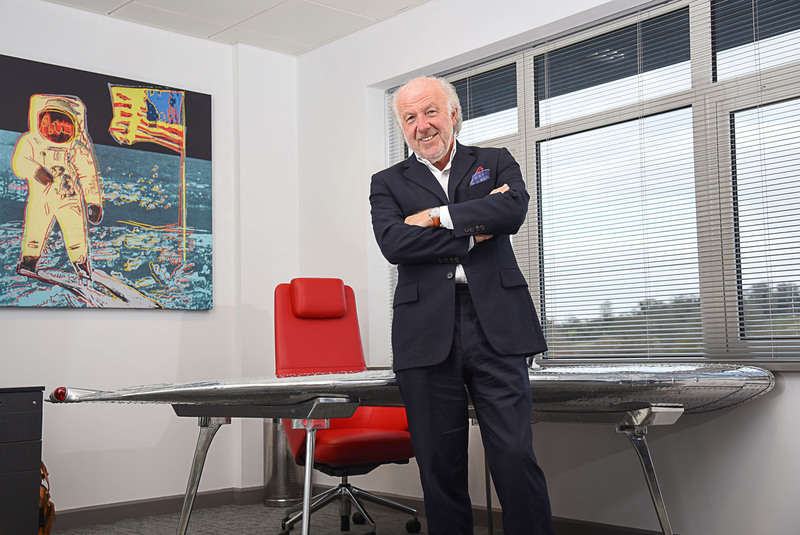 The 160 people working there make it the largest composite manufacturer and supplier in the UK, and something Richards sees as one of his biggest business opportunities in the future. “Composites will become the everyday,” he says. “Taking weight out is as important for efficiency as batteries and a motor. I see us partnering with a manufacturer for the long term, looking at how we integrate composites into production with new systems and the car manufacturing process. 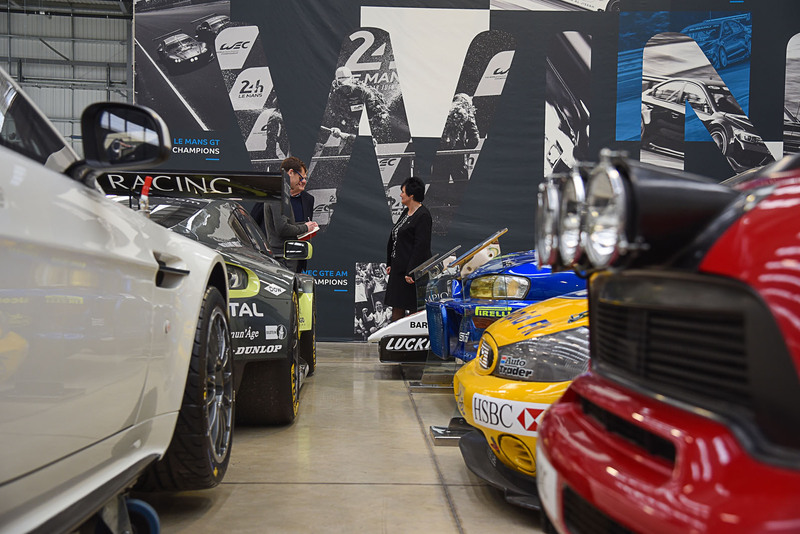 That creativity is what appeals to Richards most in taking on a project and why Prodrive is able to provide a resource car makers simply are not. Richards knows all about the appeal of F1, having had two stints as a team boss, at Benetton in the 1990s and then with British American Racing (BAR) in the early 2000s, where he oversaw a second- place finish in the constructors’ championship in 2004. Yet Richards fears for the sport and its future: “[New F1 owner] Liberty has great ideas and understands entertainment, but the barrier is the incumbents: the aerodynamicists and the engineers. They create problems. He remains involved in rallying, however, and is keen to play a role in the future electric plans of World Rallycross, which is “the perfect use for EVs” in motorsport and will be “transformational in the imagery of an electric vehicle”. Richards is also not ruling out a return to the WRC, but of greater interest is a run at Dakar. “I would love to get back to the WRC if the opportunity came up one day. It’s on the up again,” he says. Richards, who served as chairman of Aston Martin from 2007 to 2013, is still involved with the firm through Prodrive’s running of the works racing arm, and is now racing the new Vantage in the WEC’s ‘super- season’, spanning two years and two Le Mans 24 Hours contests. 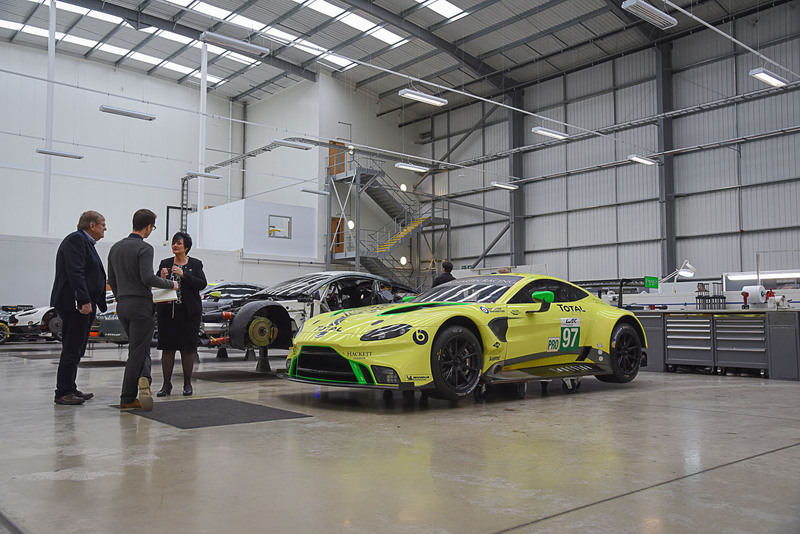 Prodrive was embedded in the design and development of the new Vantage racer. 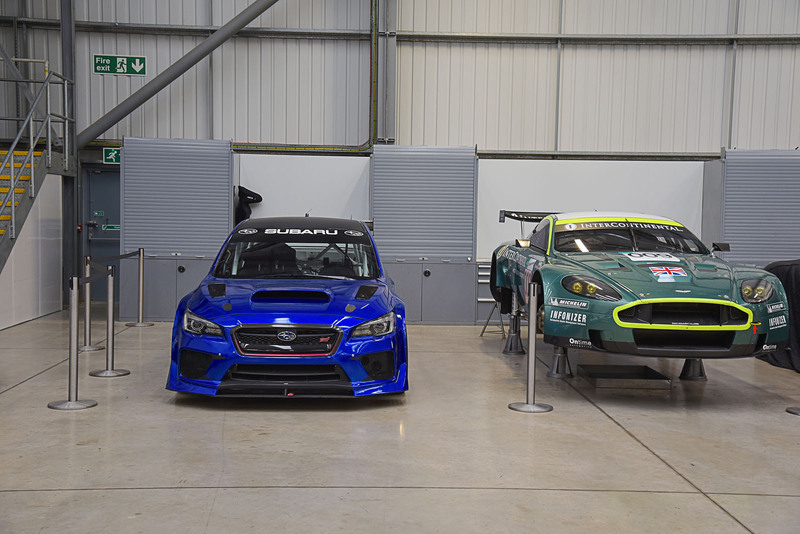 Richards calls it a “pivotal moment” for Prodrive and a “big step forward” over the car’s predecessor that should ensure the firm competes at the sharp end of international motorsport for some time yet. PORSCHE 911 SC RS: 1984 This was the car that started it all for Prodrive. It won 15 rallies in all, and was followed soon after by the iconic MG Metro 6R4. SUBARU IMPREZA WRC 99: 2000 The ‘Mad Max’ Impreza took Richard Burns to Safari Rally glory, a year before his WRC title. The last of the original-shape Impreza WRC cars. BAR-HONDA 006: 2004 Prodrive turned around the ailing BAR F1 team, taking Jenson Button to third in the drivers’ title and claiming second in the constructors’ standings. FORD MONDEO SUPER TOURER 2000: The last and perhaps the greatest title-winning car of the BTCC’s legendary Super Touring era. Running Prodrive is not David Richards’ only job. He owns two hotels in St Mawes, Cornwall, and this year has become chairman of the Motor Sports Association with quite a large in-tray. 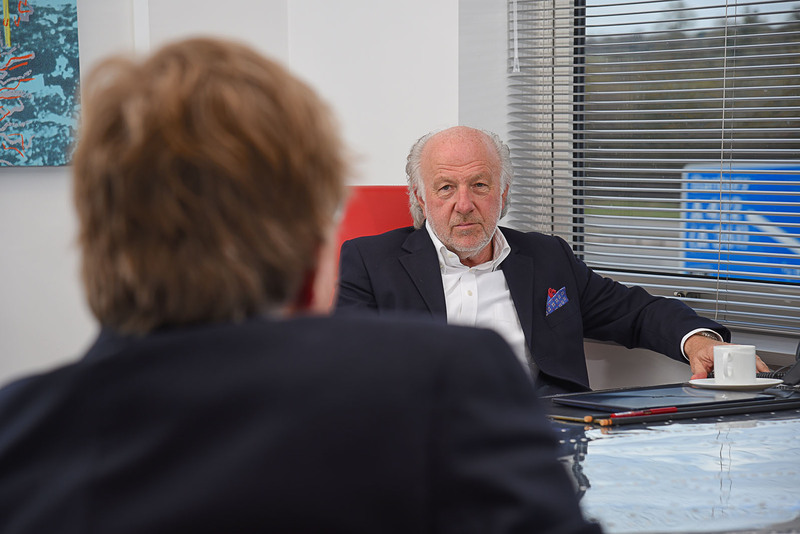 Richards’ priorities are to reduce the costs of motorsport at the grassroots level to help bring through the next generation of drivers and cut the red tape around the sport and its governance to prepare it for future technologies. He says: “People say the cost of F1 should be reduced, but we should be reducing the costs of grassroots motorsport. There is too much bureaucracy and cost; we have to find a way. It should be fun. Bringing through a new generation of drivers would ultimately help the economics of a British Grand Prix. “Without that, we’re in trouble,” says Richards. “At the other end, we need to create regulations for the future with ambition, and give the opportunity for British racing teams to maintain their world-leading position in the future. “A vast amount of investment in motorsport has come from manufacturers promoting fast vehicles. Now it’s all going in the other direction towards EVs and autonomous cars, and our tech is in danger of being seen as archaic. Richards is also proposing a challenge for university students to develop an autonomous racing car and pit their machines against each other three times around the Silverstone circuit. He is in talks with a major car maker about getting the project off the ground. It's impossible not to be impressed by Richards. As a scientist, however, it shits me when people who don't know what DNA is talk about DNA! There's a Youtube video somewhere of a marketing guy claiming that "Our DNA is all over that car". Eww. Electric cycles are a ridiculous idea.